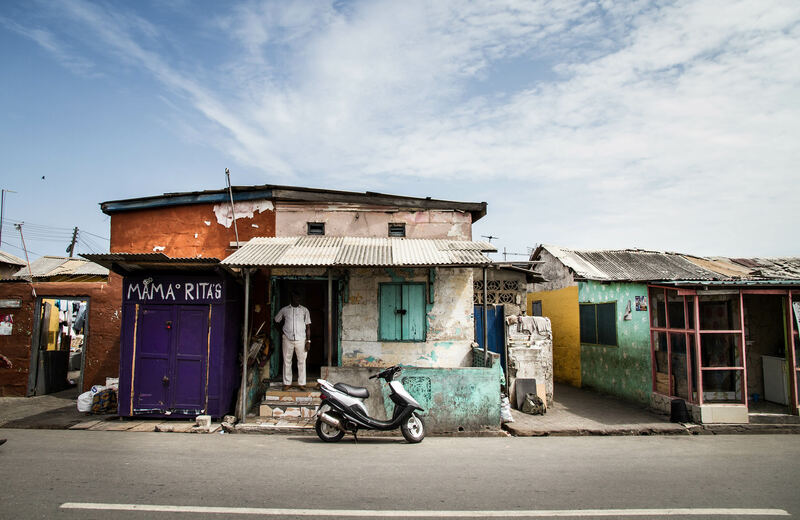 Two settlements, James Town and Ussher Town are part of the famous old town of Accra, capital of Ghana. 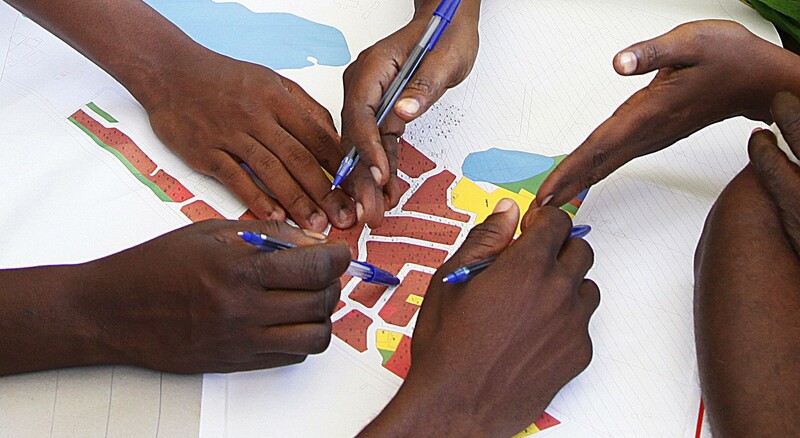 In 2008 UN-Habitat initiated a whole series of changes in both slum districts together with its partners, the African, Caribbean and Pacific Group of States (ACP) Secretariat, the European Commission and the Government of Ghana. In both neighbourhoods there are now paved roads almost everywhere and a sewer system. 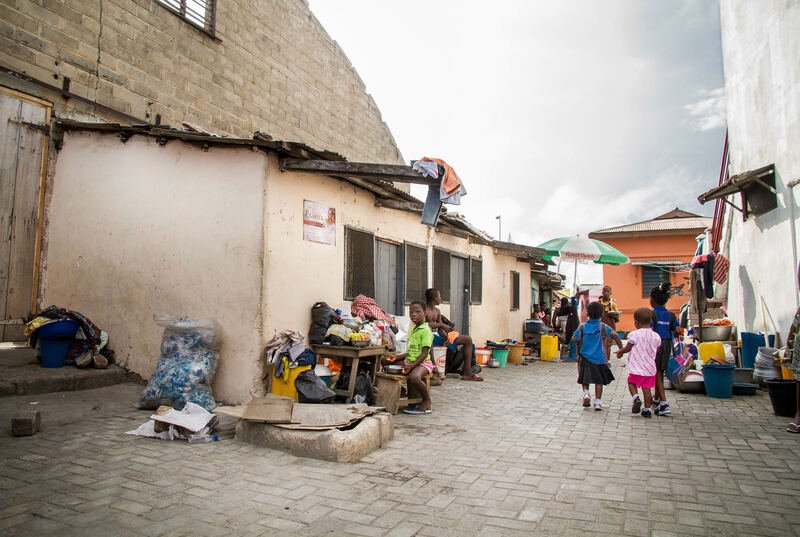 The European Commission funded this project in coordination with the Accra Metropolitan Assembly. 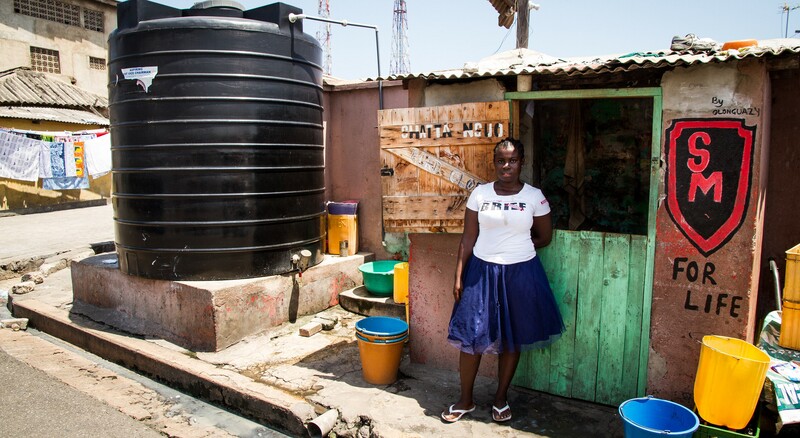 Old Accra has several public toilets and shower houses, segregated by gender; 50 private toilets as well as a municipal waste management system connected to the public waste disposal system. 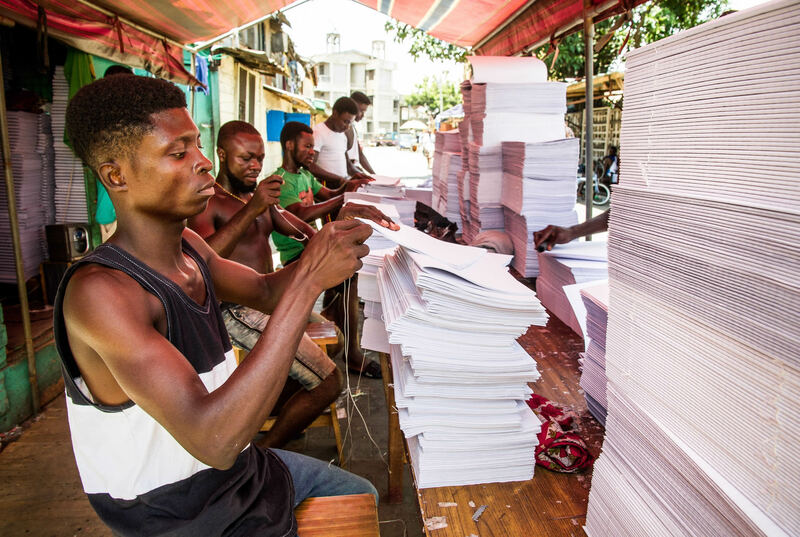 Young men bind school books in the streets of Ussher Town, Old Accra, Ghana. Since the roads have been paved, employment has risen, and the local economy has developed significantly. 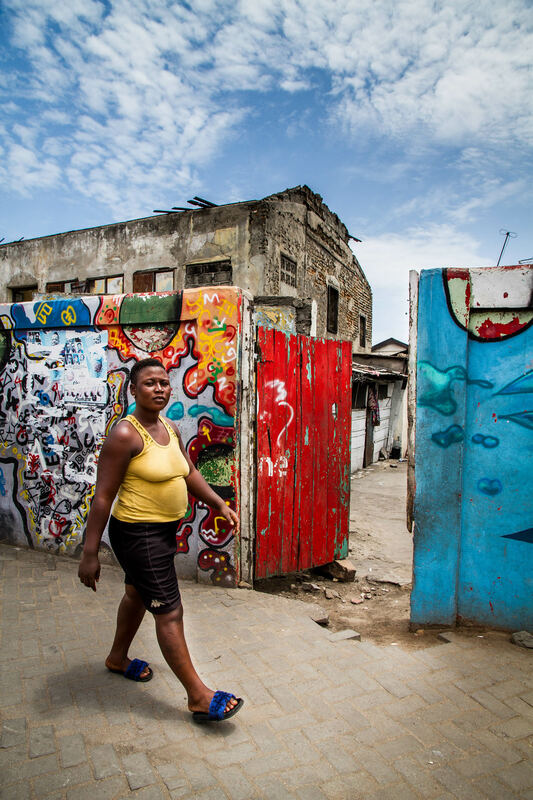 Secure public space within slums promotes a good social structure throughout the community. In the old port of James Town fishermen built their shacks along the beach. 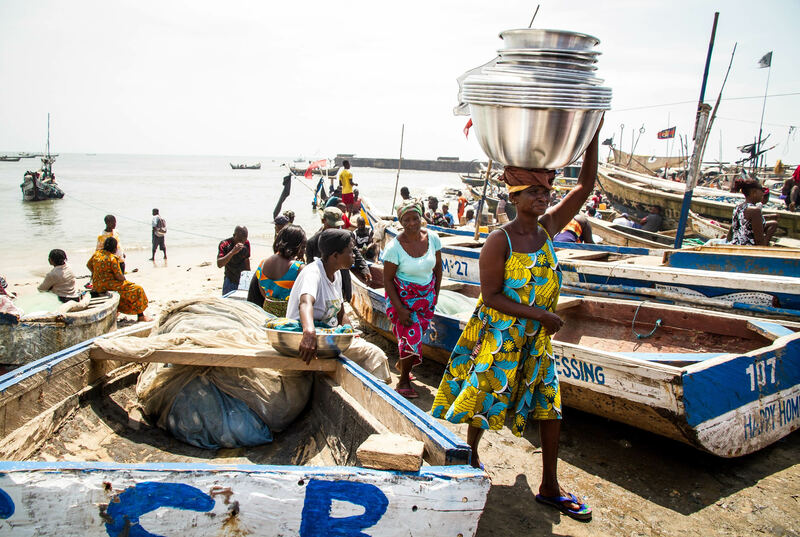 Women sell fish and run street kitchens among the fishermen on the beach. 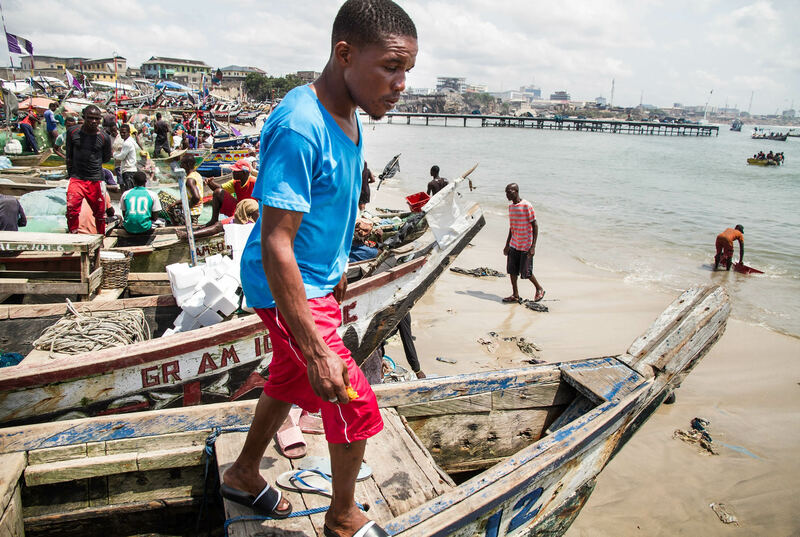 Fishing is one of the major sources of income for many people in Old Accra, Ghana. Many of them belong to the Ga people, the original settler of the capital. In the past, you could hardly walk through Ga-Mashie on rainy days, locals say. The ankle-deep mud was everywhere. Today, a newly build drainage and sewerage system ensures that the streets are accessible all year round. 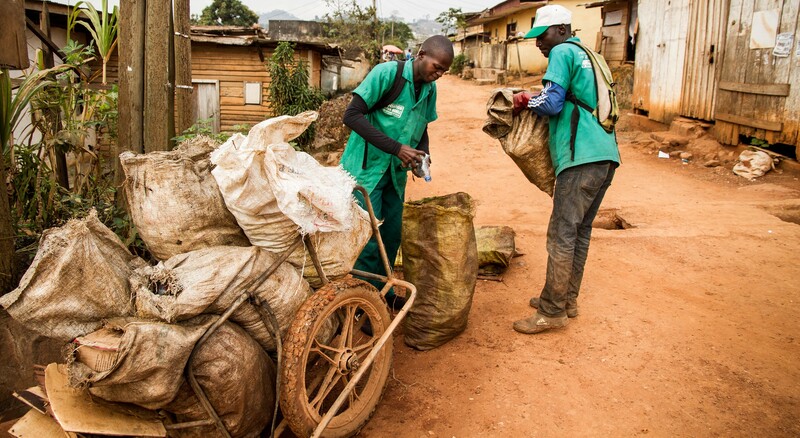 The recently paved streets and sidewalks in the two settlements today create mobility and connect Ga-Mashie to the rest of the city. 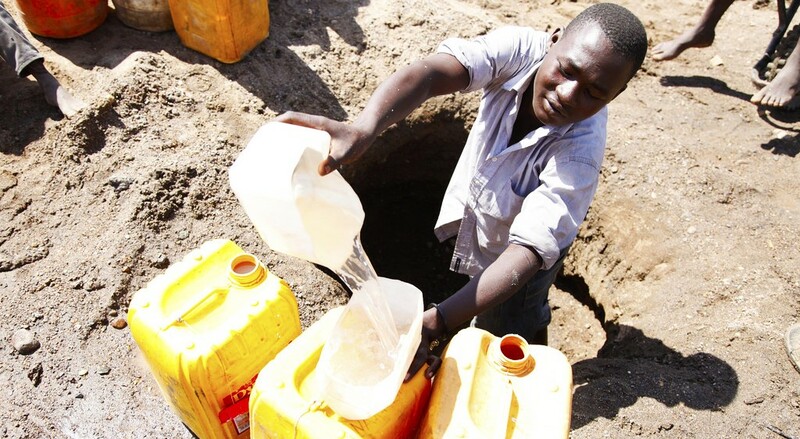 This generates income for the dwellers and leads to development. A young mother is breast-feeding her child in the streets of James Town. 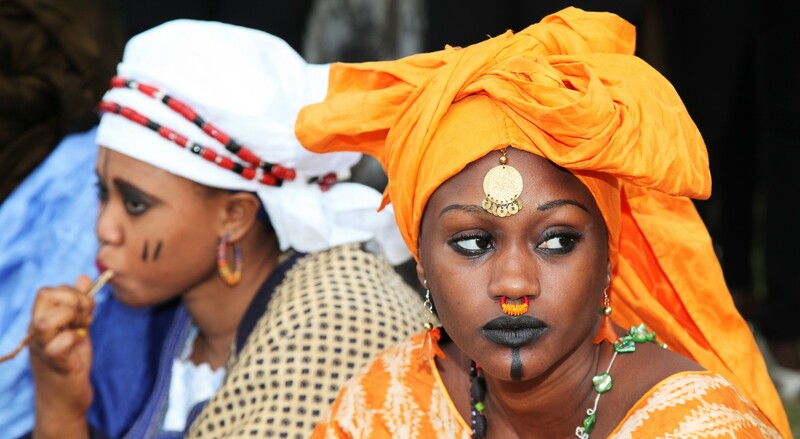 Women represent a very important force for the development of Ga-Mashie, since they are the backbone of the society. 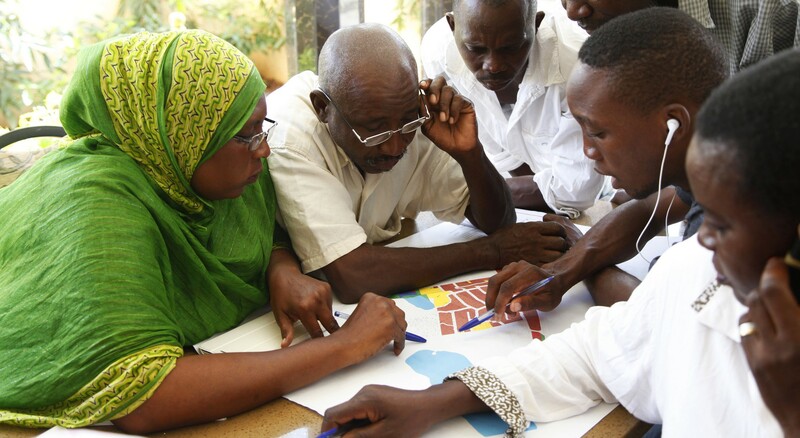 Gender equality and women empowerment therefore is one of the central PSUP approaches in Ghana. 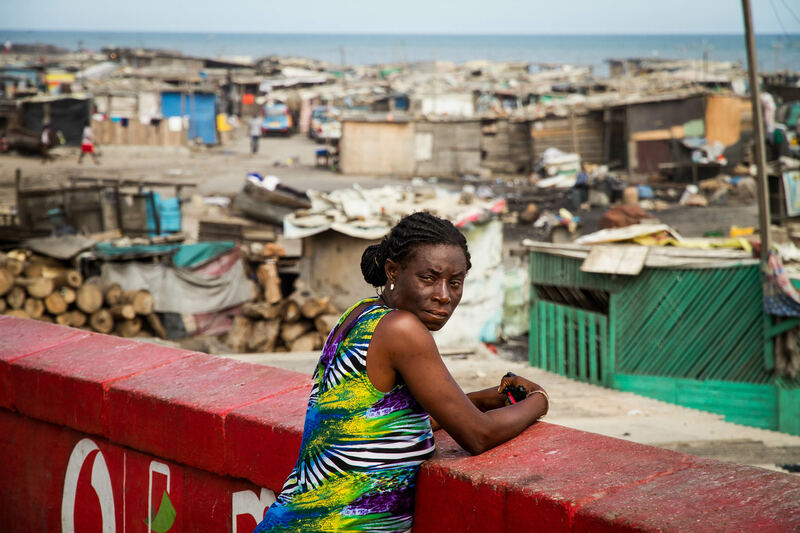 The beach slums of Ga-Mashie are located outside of the PSUP project area, but belong to James Town and the historic port of Old Accra. Fisherman and people from outside of town settle there illegally and face regular eviction. 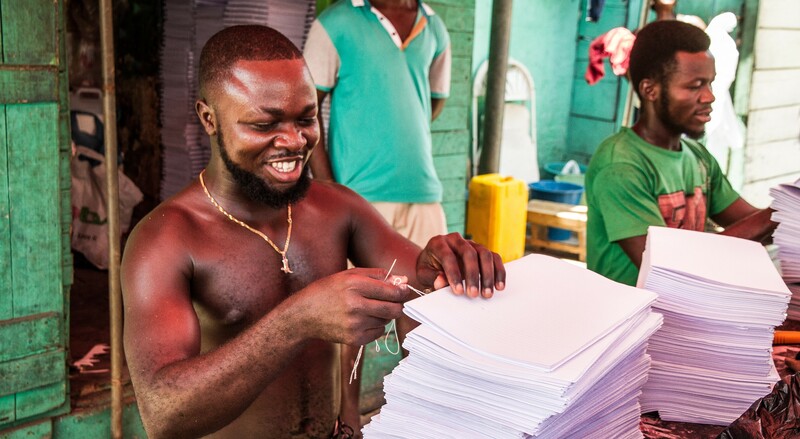 A lot of waste gathers on the beaches of Accra. 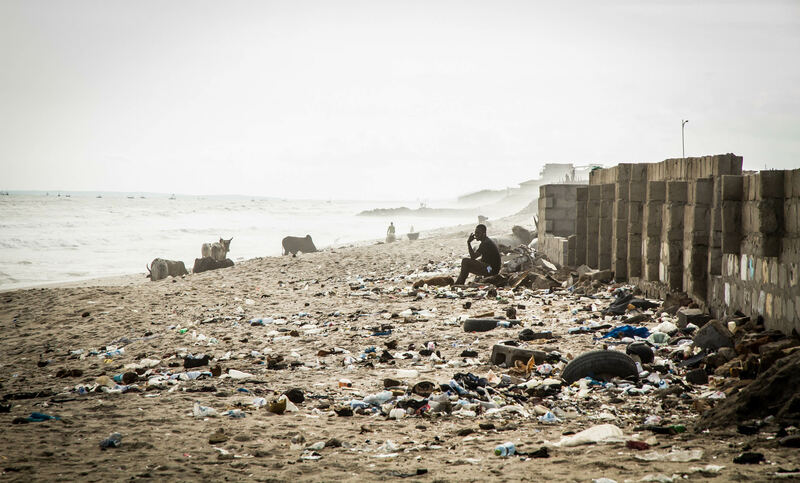 Entire beach sections of Old Accra are full of garbage, because of the absence of a public garbage collecting system people throw the rubbish off the beach cliffs and into the sea. Some sections of the beaches in Ga-Mashie are already good examples of how to upgrade an area. 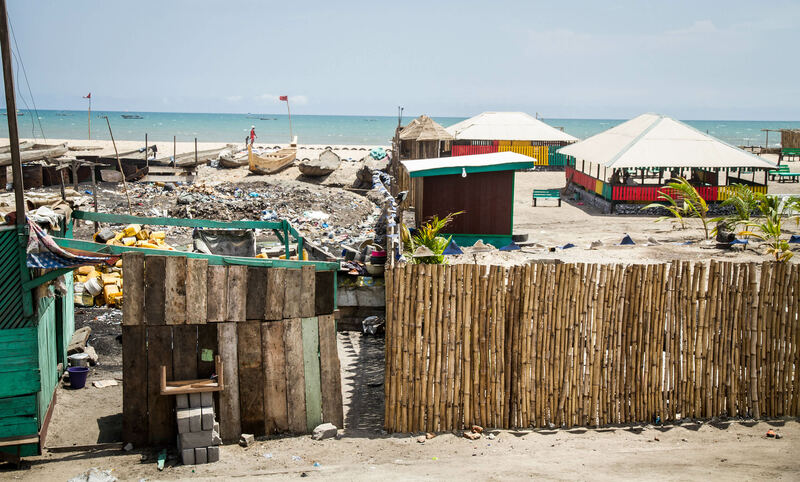 Private investors have discovered the value of the region, cleaned up and created a new beach resort right next to the slums. PSUP includes also the wellbeing of the next generation. 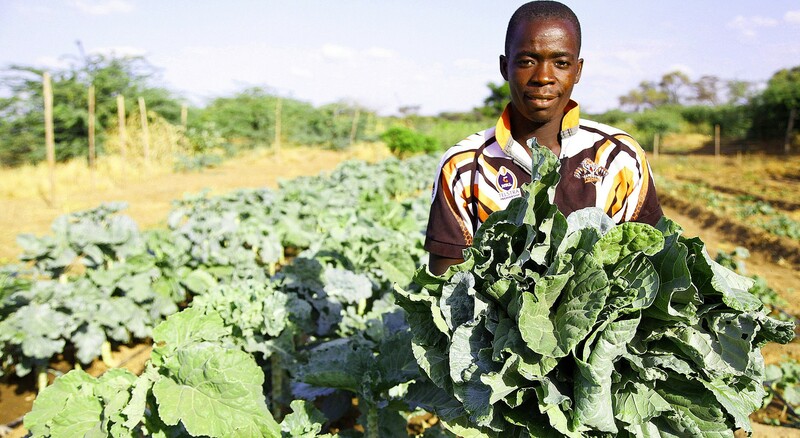 When the project improves the parent’s lives, they will be able to invest in their children’s futures. 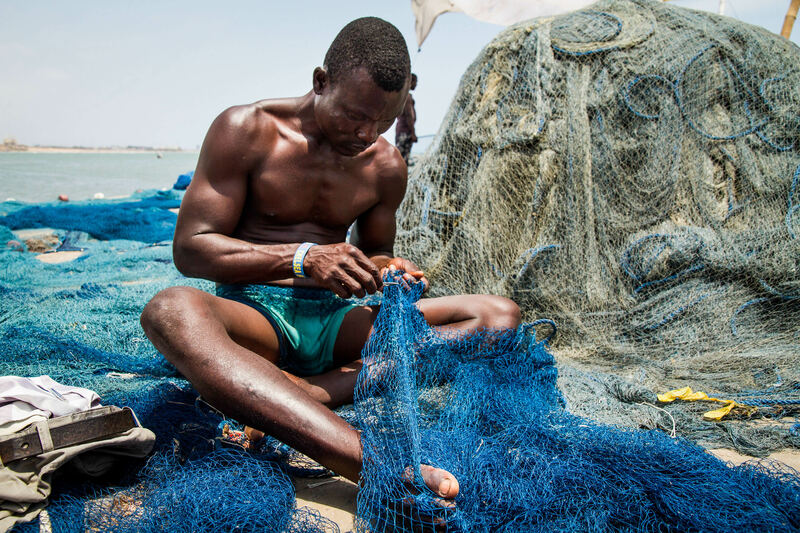 A fisherman repairing a fishing net on the beach of Ga-Mashie. 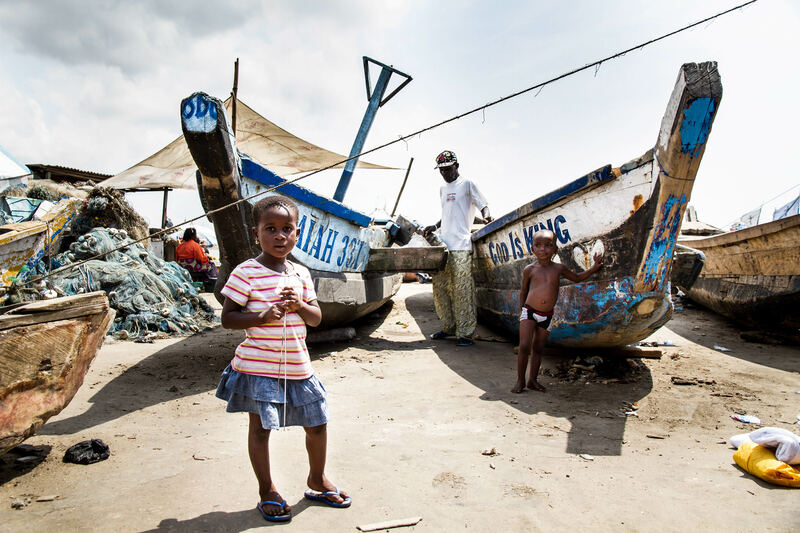 Fishing is an old tradition for the people in Old Accra and one of their major sources of income. 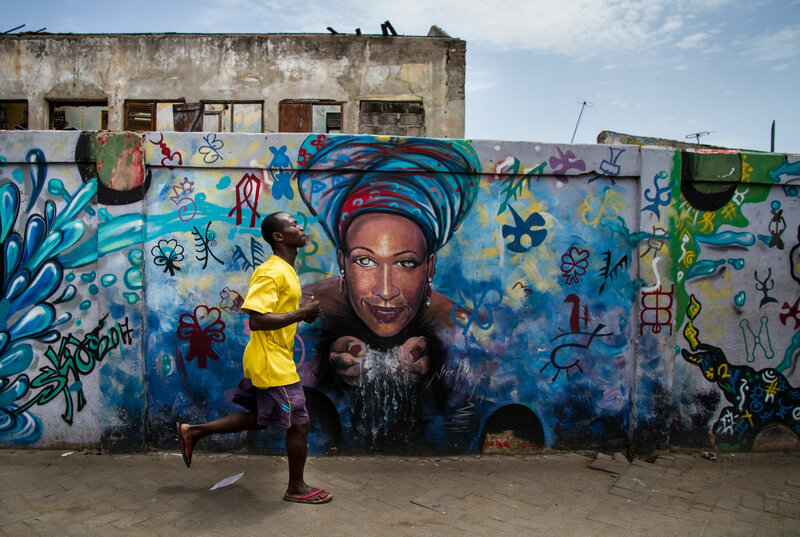 Entire walls in Ga-Mashie are full of colourful graffitis, painted by local artists. 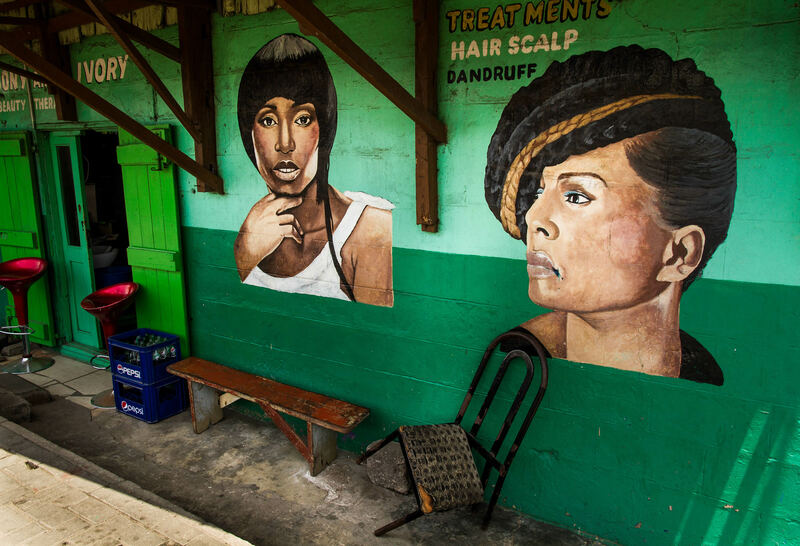 Some advertise businesses; here a local hair salon. 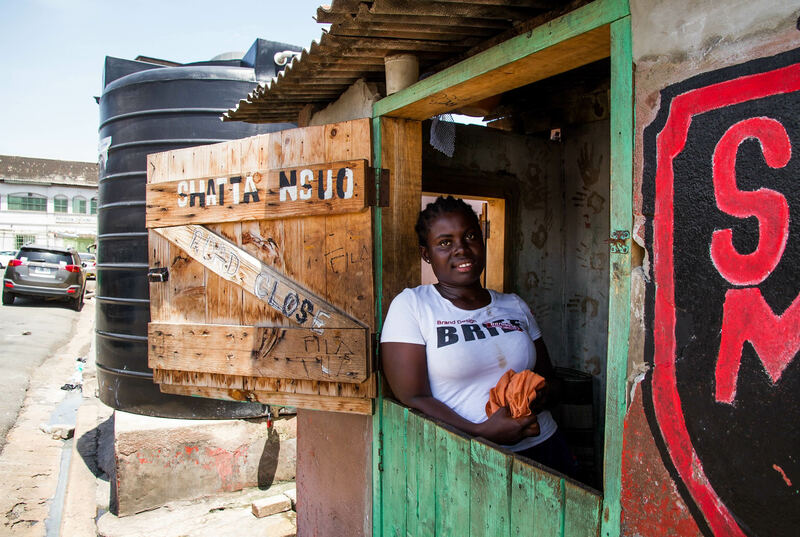 Affordable and clean sanitation facilities are essential, especially as it avoids diseases in a slum. 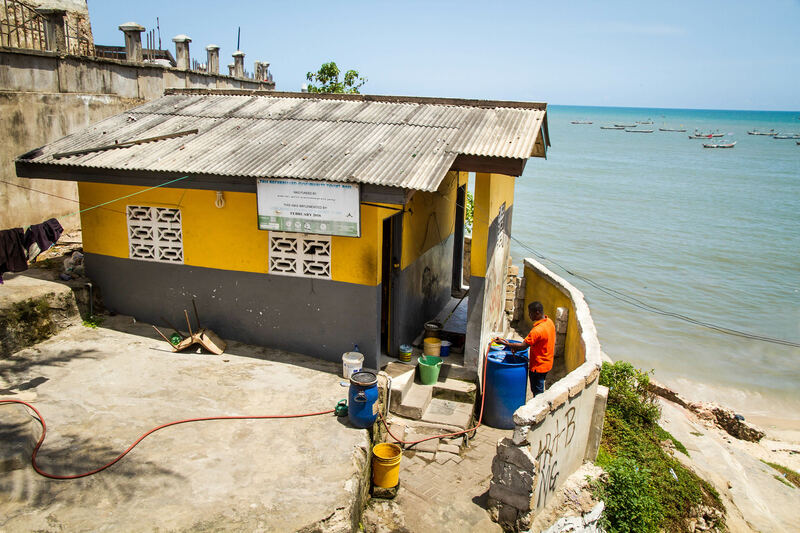 Within the PSUP project, several public toilet and shower houses were built, two alone in Ussher Town. 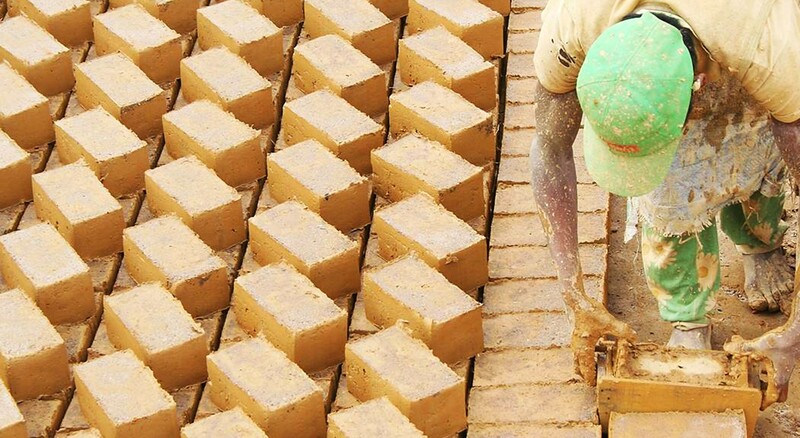 In the frame of a Community Managed Fund, the community took over the project, runs the facilities today and generates an income. 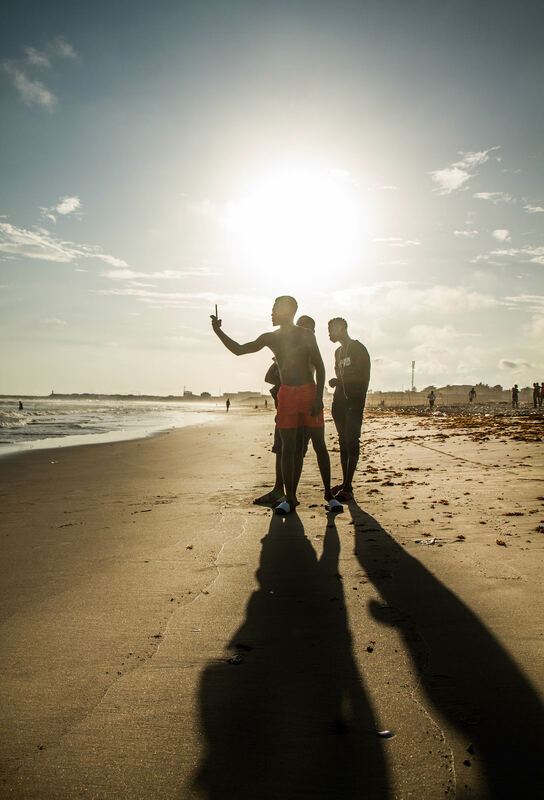 Young Ghanaians taking selfies on the beach of Accra.